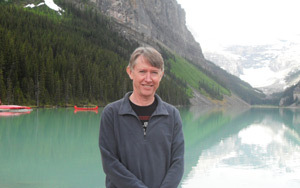 Pannell Discussions » 180 – New book: Changing Land Management » Ideas in economics, environment, policy and more. 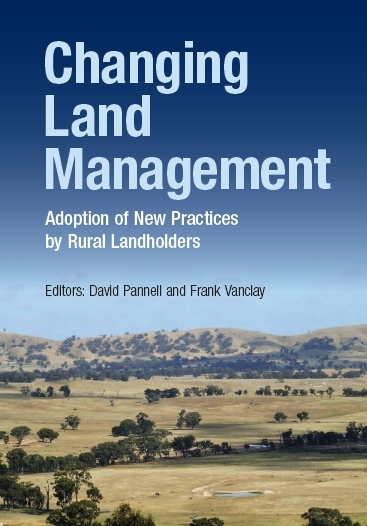 I have a new book out this week: “Changing Land Management: Adoption of New Practices by Rural Landholders”, published by CSIRO Publishing, co-edited with Frank Vanclay from the University of Groningen. There is more information at the CSIRO Publishing web page here. You can also place an order on-lane at that web page. Alternatively, you can order using the flier here. 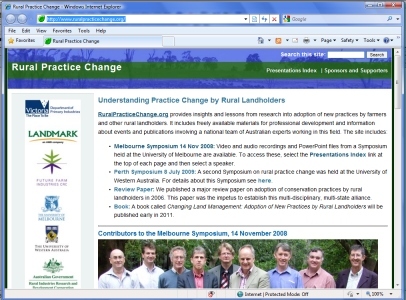 If you are interested in this book, you might also like to check out http://www.ruralpracticechange.org/. It includes videos, audio podcasts, and PowerPoint filesfrom a National Symposium on this topic, including contributions by most of the authors of the new book. Posted on 28 February, 2011 by David Pannell. This entry was posted in Behaviour.